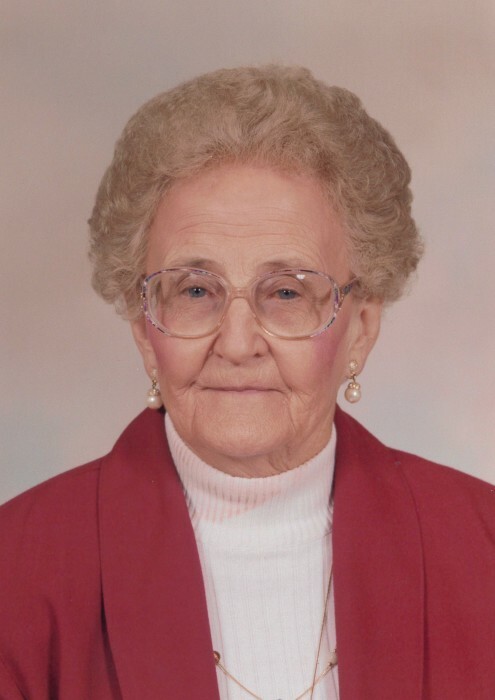 Vera Dowdell, 97 of Rio, passed away Thursday, January 31, 2019, at At Home Again in Rio. She was born January 4, 1922, along with her identical twin sister Vivian at their family’s homestead at the foot of the Snowy Mountains in Golden Valley County, Montana. The daughter of Grant and Mae (Disbrow) Babcock, she graduated from St. Vincent’s Hospital School of Nursing in Billings, Montana in 1943. She proudly served her country during WWII as an army nurse. Vera was able to experience the honor flight to Washington D.C. September 8, 2012. On April 24, 1948, she was united in marriage to Donald Dowdell at St. Joseph Catholic Church in Rio. She and Donald were blessed with five children. Her true passion was taking care of the health of others; she worked as a registered nurse at Divine Savior Hospital in Portage then later at the Columbia Health Care Center in Wyocena until her retirement. Survivors include her children; James (Kathy) Dowdell, Mary Ann (Charles) Taylon, Jane (Michael) Nauert, Timothy Dowdell and Thomas Dowdell; grandchildren Benjamin (Ashlie) Dowdell, Jaimi Dowdell (Adam Shapley), Michelle (Bryan) Lowery, Rachel (Drew) Adams, Samuel (Nicole) Taylon; five great grandchildren; twin sister Vivian Gorman and brother Donald (Fran) Babcock. She was preceded in death by her parents, husband Donald, and siblings Merwin, Eileen and Anna Lou. Funeral services with full military honors will be held Friday, February 8, at 11 AM at Grasse Funeral Home, 401 Angel Way, Rio, with Father Bala Eturi presiding. Interment will follow at St. Joseph Catholic Cemetery in Rio. Visitation will be held Thursday, February 7, from 3 to 6 PM at Grasse Funeral Home and again from 10 AM until the time of services at the funeral home Friday. In lieu of flowers, memorials may be made to At Home Again, 405 Lowville Road, Rio, WI 53960; Generations Home Care & Hospice, 1025 S. Main Street, Fond du Lac, WI 53935; or Northwoods, Inc, N6510 US Hwy 51, Portage, WI 53901. The family would like to thank the staff of At Home Again and Generations Hospice for their care and comfort they gave our Mom.